We have a few courses coming up in the region, get your name down before they are sold out. Plymouth – Grade 4 One Day Referee Course 26th Jan.
Bath – Level 1 Introduction to Coaching Volleyball 17th Feb & 2nd Mar. 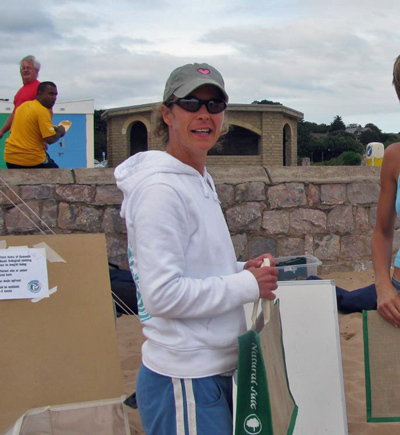 Plymouth – Go Spike Activator Award – 21st Feb.
# There is only one Beach course run per year, this is it. ## This is the first SW Level 2 course for a good number of years, again first come first served. 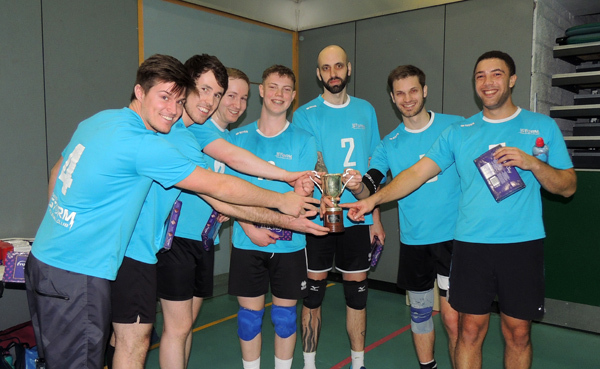 We will be having our annual EDVA tournament on Sunday 4th February. 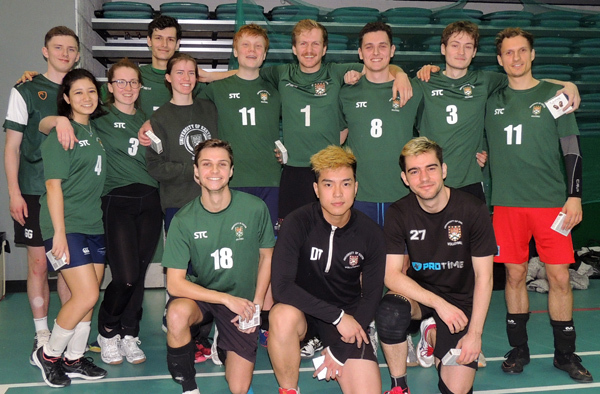 It is open to all teams playing in the Mixed League Division 1 and 2, however we have a maximum of 12 places available and there are 15 teams in the league, so unfortunately we don’t have space for everyone. Each club is guaranteed at least one place, so long as you enter before the closing date of 20th December, the remaining places will then be allocated based on requests. Please let me know how many places you would like to have as a club and I will then confirm after the closing date, if we have more entries than we have space for. It’s that time of the year again, we had the EDVA AGM just over a week ago and with all the formalities completed please find attached the League Entry Form and Team Registration List. At the AGM we agreed to keep the fees as last season and look to run two mixed and a ladies divisions to begin from September 30th. If you wish to enter for the upcoming season please complete and send the entry forms to ryoung6189@gmail.com by the 26th August, payments are accepted online or via cheque. All teams that enter will be required to send a representative per team to the Fixtures Meeting on the 2nd September. 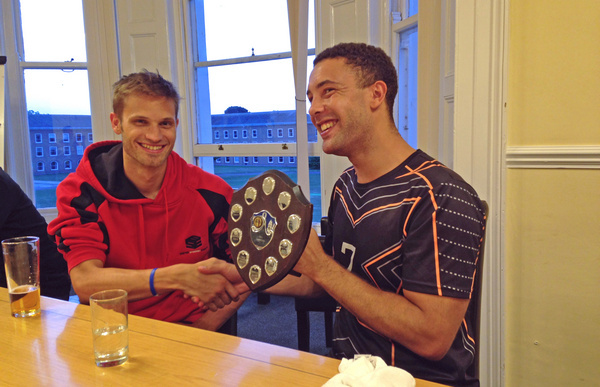 ESVC Lightning Stormers picked up their Division One winners trophy this week at the AGM, the trophy was collected by Ashleigh Harry and presented by Fixtures Secretary Rob Young, also from Lightning Stormers (well done to all). 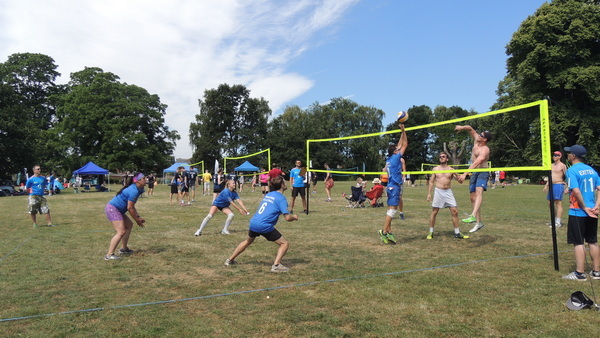 The Heavitree Park Life Volleyball Tournament returned for its second year on another glorious sunny day, with Heavitree Pleasure Grounds providing a fantastic scenic background. 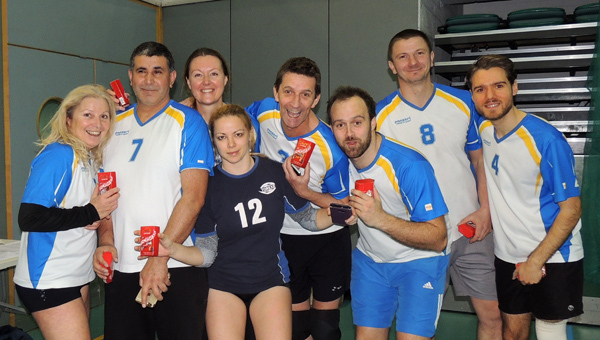 Twenty teams competed split into two divisions after 70 matches we had our semi-finalists in each division. 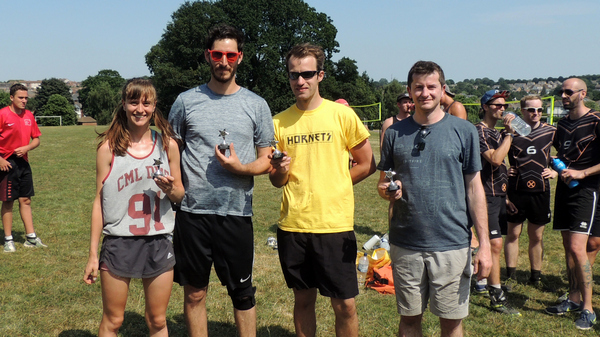 Despite the heat it was a day with some excellent volleyball and great camaraderie between the teams, with several playing in their first tournament, through to seasoned campaigners. 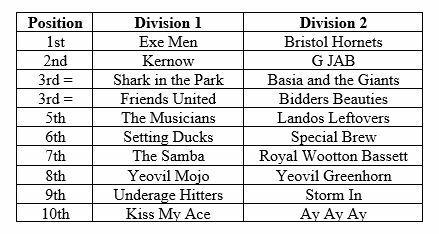 In Division 1 both semi-finals were extremely close fought matches, with last year’s winners Kernow just holding off Shark in Park by a couple of points. It was even closer in the other match with Exe Men just one point ahead of Friends United. 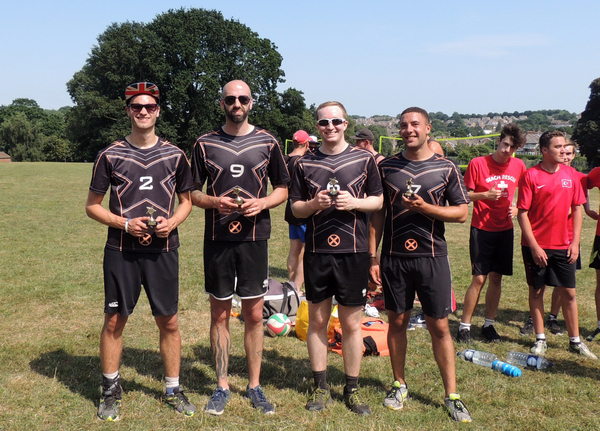 In the final local team Exe Men showed their determination to get revenge from a loss to Kernow in the early rounds and took the title from Kernow. In Division 2 local teams Basia and the Giants and Bidders Beauties both lost out in their semi-finals to set up a final between Bristol Hornets and G JAB (from Weston-Super-Mare). Bristol Hornets were too strong for G JAB and comfortably took the Division 2 title. Following its successful inauguration event last year, the Parklife Heavitree grass tournament returns on Saturday 30th June. Once again it will combine with the Sports in the Park event, which has events from Exeter Chiefs rugby and Exeter City Football amongst several others, so there will be plenty going on during the afternoon. Entries are now open for 2018. We are hoping to expand the event from last year and offering an early bird discount to those entering before 30th May. There will also be some Saturday pop-up volleyball sessions before the tournament on 9th, 16th and 23rd June from 2 to 4 pm. Keep an eye on the facebook page Heavitree Volleyball for more details.